Did you ever think about what era you’d like to live in if not the present? For me I think it’s the Roaring Twenties. I love Jazz music as well as the Art Deco designs found in buildings, lamps and accessories of the time. If I were in my twenties back then I definitely would have been considered a “Flapper”. The party started with themed hors d’oeuvres like “Zoot Suit smoked salmon toasts” and “Deco Dogs” but really picked up the spirit of the exhibit with the prohibition style cocktails. I guess being told you can’t drink and sneaking into a speakeasy made it all the more popular back then. After socializing with Lehigh Valley&apos;s "Who&apos;s-Who" and listening to the jazz band play awhile we headed upstairs to check out the collection. 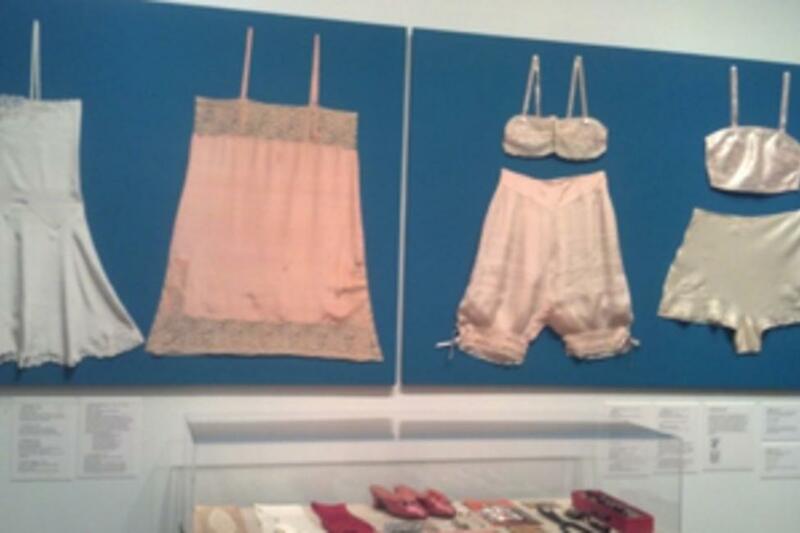 The almost 200 pieces displayed are a small sampling of the vintage clothing and accessories donated to the Art Museum by Ellie Laubner in 2009. I hope she had as much fun acquiring all those beaded dresses as I did imagining the young ladies getting dressed on a Saturday night, drink in one hand, cigarette in the other ready for a shamelessly rowdy night out. You still have a chance to step back in time…the exhibit runs until April 14, 2013. You really should check it out then go to The Bookstore Speakeasy in Bethlehem to complete the experience…tell them Nancy sent you.